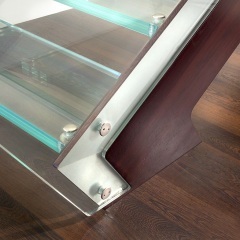 The staircase with solid wood band structure 60 mm in thickness has no fastening screws in the parts in view. 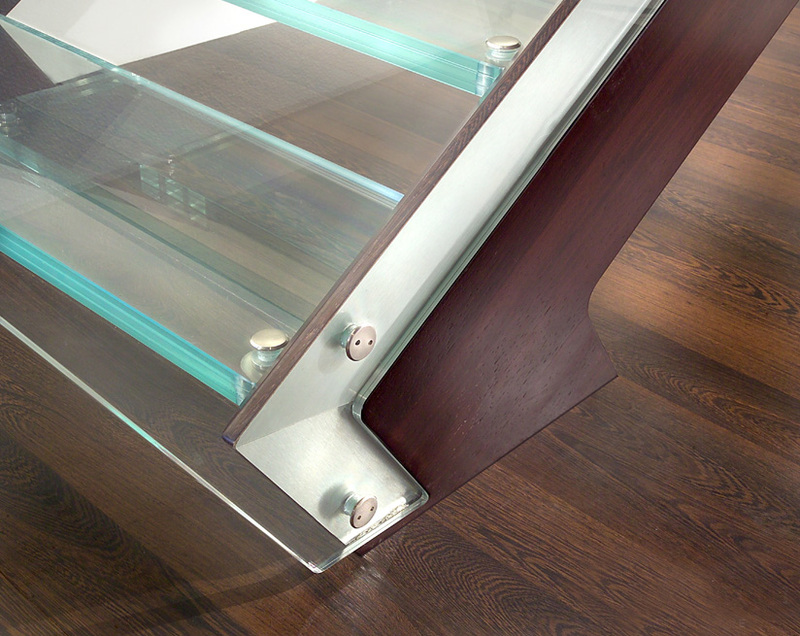 It can be painted according to the customer’s sample or to preference from our catalogue. 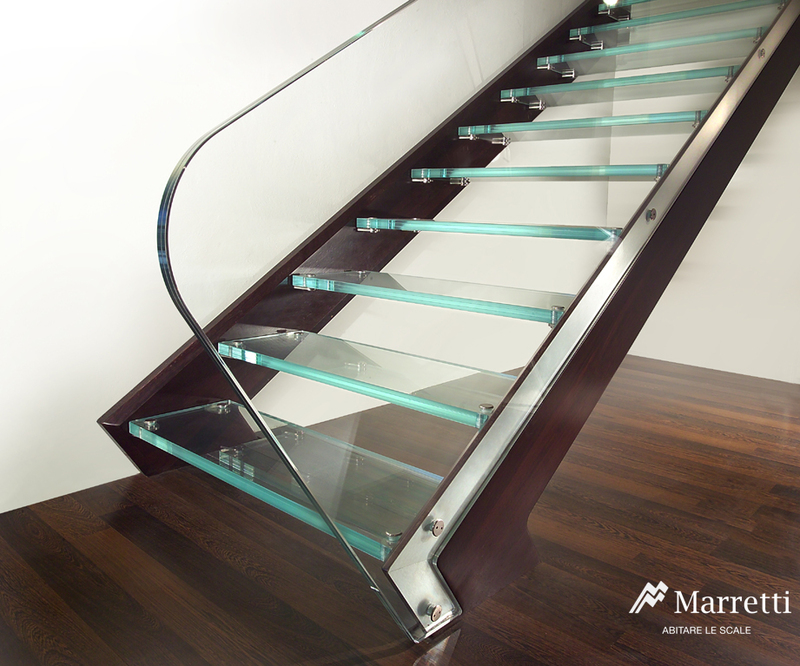 The steps can be made of toughened and laminated glass with a thickness that can vary between 26 and 32 mm depending on the width of the staircase. Extra-light, float, satinised or coloured finish, the wooden structure can be supplied in various types of wood (Beech, Oak, Doussie Wenge, Teak, Iroko) and with several finishes (oil, bleached, polyurethane varnishes, etc). The staircases are tested with a certified load test for a total capacity for each step of 150 Kg. 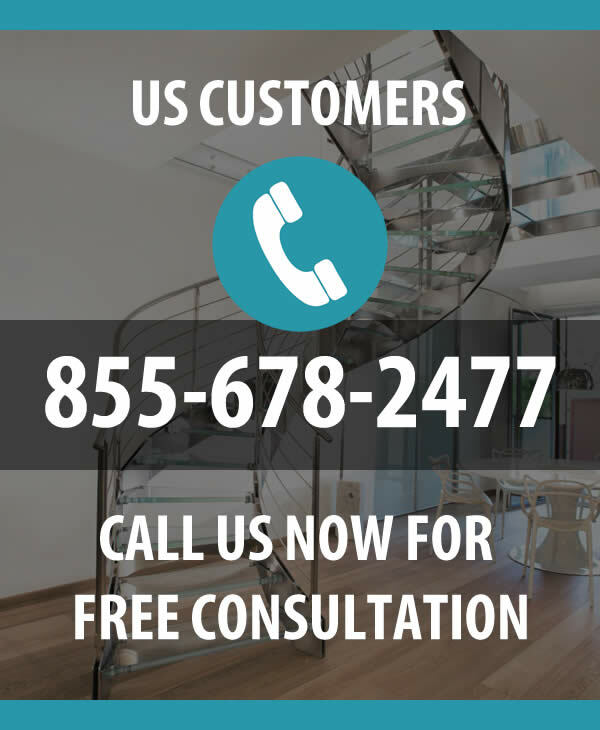 The banisters, the model of which is registered, are completely made of stainless steel with no welds and with only mechanical fastenings or extra-light structural glass or with laser-shaped stainless steel panels, and wrought iron.